In 2011, the New York Division of Cemeteries ruled that human burials could not take place in pet cemeteries. This left many people devastated because they wanted their ashes to be buried with their pets…but they couldn’t be. According to Ed Marin, owner of the 117 year old Hartsdale Pet Cemetery in Westchester, NY, prior to the ban more than 700 people’s ashes had been interred at Hartsdale. He said that he gets five or six requests per year for this service. 1) They won’t charge a fee for the burial. 2) They won’t advertise human burial services. For more information about burial options and other funeral related information, check out diesmart.com. This entry was posted in Funerals, Minor Children and Pets and tagged diesmart.com, funeral, pet burial, Probate, probate court on September 24, 2013 by Minna Vallentine. 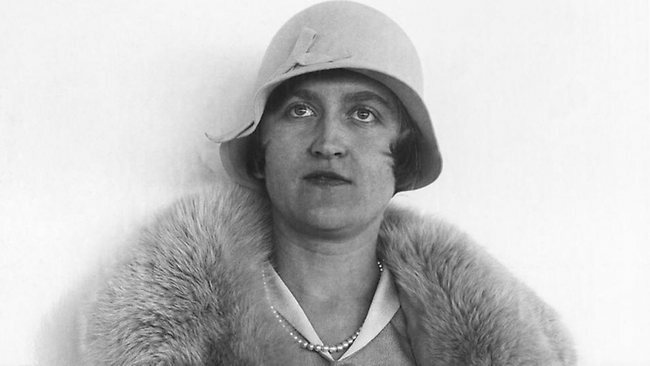 Huguette Clark was an heiress who died in 2011 at age 104. She left behind a $300 million estate. The bulk of the money was inherited from her father, a copper tycoon in Montana. She owned a 23-acre estate near Santa Barbara valued at $100 million, a $24 million house in Connecticut and a $100 million coop on Fifth Ave. in New York. She was a painter and a collector of rare French and Japanese dolls. She had no children, no close relatives and only limited contact with any of her distant relations. She spent the last 20 years of her life living at Beth Israel Medical Center as a recluse, closer to her doctors and nurses than any family. When she died, the only people who attended her burial were funeral home employees. What did she do wrong? She left behind two wills, written just six weeks apart. The first one left $5 million to her nurses and the balance of the estate to her distant relatives, even though 14 of the 19 involved said that they had never even met Huguette. The second will left nothing to the relatives. It specifically said” I intentionally make no provision…for any members of my family…having had minimal contact with them over the years.” Instead, charities are the largest beneficiaries, receiving over 80% of the estate. Also named was her registered nurse, Hadassah Peri, who would receive $15.3 million after taxes, and a goddaughter who would get $7.9 million. Lesser beneficiaries included Beth Israel Medical Center, her attorney, her personal assistant, her accountant, property managers and one of her doctors. In addition to what she was given in the will, her registered nurse received more than $31 million in gifts before Clark died and the estate administrator is asking that the $31 million be returned to the estate. Family members are claiming that the second will was written under duress when she was mentally ill and incompetent and the victim of fraud by her nurse, attorney and accountant. Negotiations have been going on for a few years, with 60 attorneys involved in the case. However, the chance of a settlement is not certain and a jury trial is scheduled to begin in Surrogate’s Court in Manhattan on September 17th. Huguette Clark should have had better legal counsel when she decided what to do with her sizeable estate. She should have prepared a trust, including directions on who had the right to make decisions on her behalf when she was unable to do so. And she probably should have destroyed the first will. It will be interesting to see what the probate court decides if a settled hasn’t been reached prior to September 17th. To learn more about how to plan for the end of your life, go to www.diesmart.com. This entry was posted in durable power of attorney, Elder Law, Estate Planning, Wills and Living Trusts and tagged diesmart.com, durable power of attorney, Huguette Clark, Living Trust, Living Will, Probate, probate court, trust, will on September 8, 2013 by Minna Vallentine.